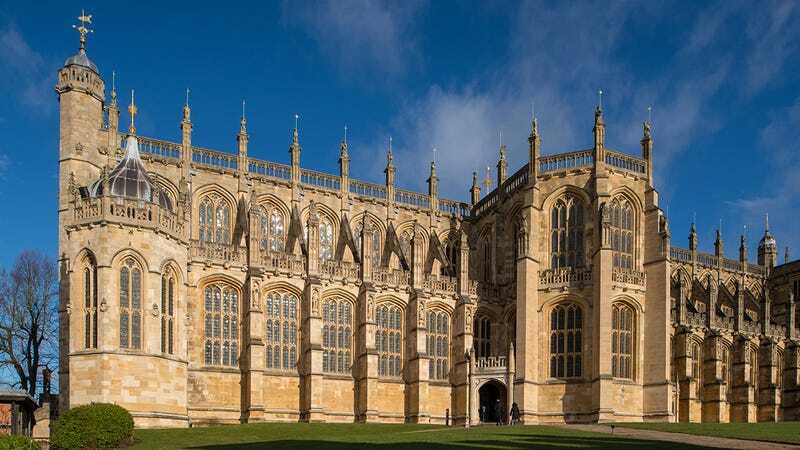 Today’s royal wedding is full of timeless traditions and extensive rituals, but no one is 100 percent sure if the guy standing by the door of St. George’s Chapel and yelling “Get a load of this jackass!” every time someone walks in is an official part of the ceremony or not. So far, the man has screamed at every wedding guest to enter except for Prince Philip and David Beckham, which has only cast more mystery into whether or not this is just a guy who wandered in to yell at people or is fulfilling some sort of role laid out in the Magna Carta. He’s wearing a tuxedo, which makes it seem like maybe he’s a sanctioned part of the wedding, but he’s also barefoot, which makes it seem like maybe he’s not. He switched to “Aloha, dipshit!” when Meghan Markle entered in her gown, which could potentially signal the end of some kind of royal rite? It’s not evident if this man is conducting part of the ceremony or should be immediately removed, but either way, the wedding has been absolutely beautiful!